Browse the questions below to find out more about Joy in Enough (JiE) and what we’re doing. If your question isn’t here, feel free to ask a question in the comments section or get in touch. What is Joy in Enough? JiE is a Christian campaign that works through churches to advocate for a fair and green economy. We call for an economy that prioritises wellbeing and the common good, in which all have enough, and that respects the boundaries of nature. How is JiE different from other Christian organisations or campaigns? Other agencies work specifically on climate change, inequality or poverty, and we work in partnership and support existing work wherever possible. What makes us distinctive is a vision that draws all these issues together into a campaign for a new economy – one that puts human flourishing and the common good at the centre. Who is behind Joy in Enough? 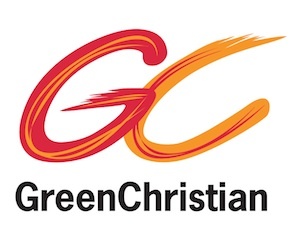 Green Christian is a network of ordinary Christians sharing insights between the church and the environmental movement. Joy in Enough started as a conference organised by Green Christian, and it has emerged as a specific project with its own funding and part-time staff. The start-up phase of the project has been funded through generous grants from the Passionists. Further funding has been received from World Day of Prayer, and event support from Oikocredit. The project is developing a supporter model for the future. We are working on resources that you will be able to use, and membership that you will be able to join. In the meantime, keep in touch with us on Twitter and Facebook, join in with discussion on the website, start a conversation in your church, and please do send us an email if there’s something specific you have in mind.